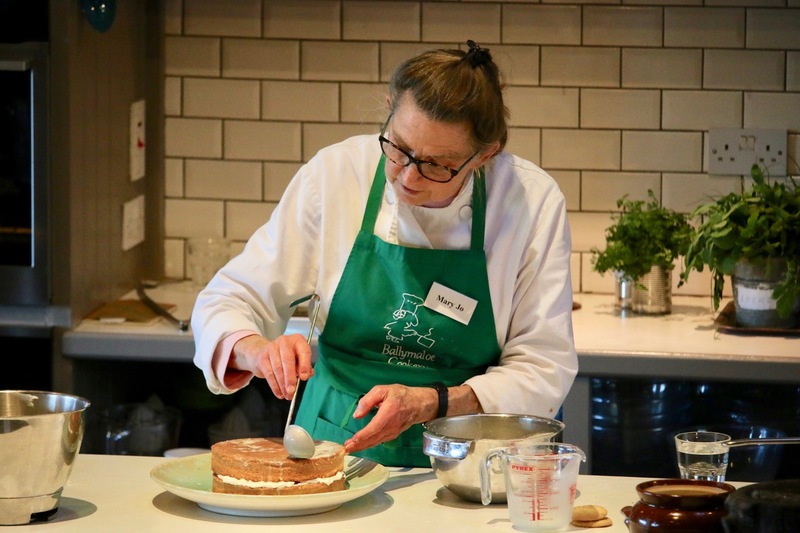 Mary Jo McMillin was a Guest Chef at Ballymaloe Cookery School on the 10th of March 2012. Mary Jo McMillin is a professional chef and cookbook writer. For nearly two decades Mary Jo's Cuisine in Oxford, Ohio stood as a landmark for food of exceptional quality and artistry. Known for its exquisite meals and quaint,but splendid atmosphere, Mary Jo McMillin's bistro regularly attracted patrons from Cincinnati and Dayton, as well as New York and Boston. In a day when stovetop ranges and ovens are too often used merely for kitchen décor, Mary Jo presents a back-to-basics approach.